If there’s one thing that Destiny players love, it’s being locked out of content until they pay money. Curse of Osiris is happy to deliver, gating off many of Destiny 2's high-level activities to anyone who hasn’t bought the new expansion. Curse of Osiris, which came out Tuesday, raises the caps on Destiny 2 character and Power levels. It also raises the requirements for endgame activities across the board, like the raid and Nightfall strike. Whereas in vanilla Destiny 2 the tougher, Prestige versions of both the raid and Nightfall asked you to have a minimum Power level of 300, they now want you to be 330. Longtime Destiny players might have known to expect this—after all, Bungie pulled a similar move with the Weekly Heroic Strike when The Dark Below launched in December 2014. For years now, Destiny devotees have come to expect that they’ll need to buy all the game’s expansions in order to keep up. 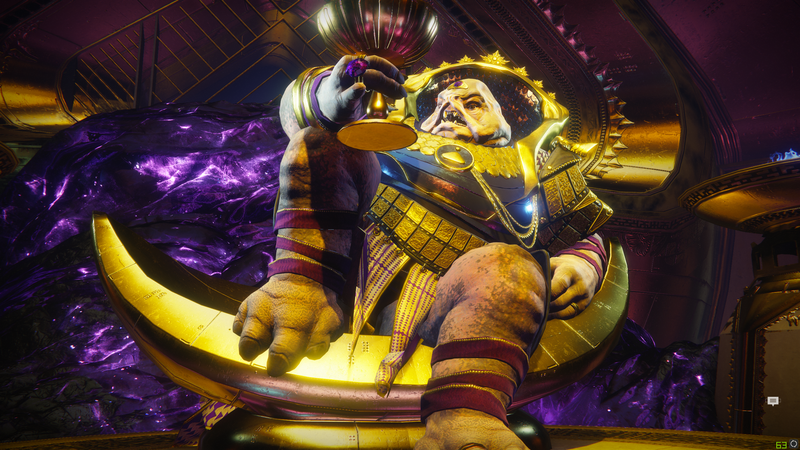 But for Destiny 2 newcomers or PC-only players, suddenly being locked out of high-level content might come as a surprise to anyone who didn’t want to drop $20 on Curse of Osiris. It might feel as if the developers just took away something you’ve already bought. Bungie’s PR rep has not responded to a request for comment. Here’s the kicker: If you can’t beat the prestige raid or prestige Nightfall, you can’t get one of the game’s achievements (“The Prestige”). Which means you can’t get a Destiny 2 platinum trophy without the DLC. Yikes.